Hello out there! Checking in to let you know we're still alive and kicking, and still working on the launch for our new website. Hoping to do the photo shoot next week and that'll help the ball roll a little faster. :-) Meanwhile, we wanted to make sure you know about the Bloomfield series that we're a part of! It's a series of stories set in the town of Bloomfield. It's written by different authors and is being released in different formats. Our books aren't in the line-up yet, but you'll see some of our characters! Like Bloomfield on Facebook to keep us with news and contests. ...That you can still get Bliss for 2.99 on the Kindle and the Nook?!!!!! Bliss was a cute story with a serious funny bone at its core. The heroine was snarky, but in an endearing way. Sort of like a combination of Kristin Billerbeck and Jenny B. Jones. I loved the humor in this story and laughed out loud so many times I lost count. Indie was a great character and very real. Her mother reminded me of a few of my friends' mothers when I was in high school. She had that whole flower child thing going and since my friends had flaky moms none of them knew much about church or faith either. I found Indie's search for Bliss endearing and her spiritual journey well done. I loved how she saw a difference in her new friends and how she decided that she needed to find her own way to truth and no longer follow her mother's training. That was great. I also loved the whole relationship with Nick. He was a great guy and Indie was lucky to have such an attentive male friend. I would love to see a second book in this series. The heat was just starting to pick up with Indie and Nick. I want more! I want to see her roommate make a few changes in her perspective and to crave the same faith that Indie found. 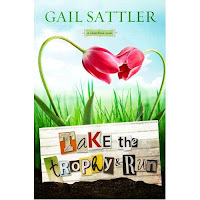 The characters seemed like real people to me, and the humor in the story was quite addicting. Great read! Have I ever mentioned that I hate hats? I suppose I should clarify…I hate hats on me. Because, honestly, I look completely ridiculous. My co-author is adorable in a hat. I envy her that. I am also jealous of her amazing knowledge of the rules of English grammar. But let’s not start down that road or I will be here all day. She is gifted in a lot of areas that I’m not, and if I start listing them I may get depressed. Which would be a shame, because right now I’m in a pretty good mood. Why, you may ask, am I in such high spirits? Well, for the past several years, right about this time, I was overwhelmed with the amount of work I needed to get turned in by a weekly Monday deadline for my college courses. This week I get to sit down at my computer and write a blog while avoiding my WIP, because I am feeling a just a tiny bit stuck with a certain thread in my story. There is not a college essay or textbook in sight. I’m done with school! For now, anyway. Eventually, I plan to further my college education, but for right now I am going to bask in the glow of the moment. This is a bucket list event. I’m getting the pleasure of marking off the achievement of a lifetime goal. I took the long road to get here, but I made it. So this week I’m going to slap a square hat on my head and march down an aisle in front of hundreds of people. I will look foolish, but don’t let my appearance deceive you. I am very smart. I will be holding a piece of paper in my hands that says so. It's been a long time since I've visited this part of Blogland. If you want to get caught up on some writing-related ramblings, check out The Ponderers' site. If you prefer short bursts of communication (like me), Tracy and I are both on Facebook and Twitter. And, as for the Tracy and Jenness team...well, there's a lot of exciting stuff happening! I'll try to give you some of the scoop in a nutshell. 1. A website is in the works! We're pretty excited about it. It's going to be fun, and is going to be designed by the amazing Jason Walker of Website Ministries fame. We're on his waiting list. Yes, he's my husband, and I still have to get in line. Figures. ;-) The design concept has been discussed, though, and it's going to be great. 2. Yes, we have been writing. Just not on here. :-) One fun project is the Bloomfield series. Nine authors are collaborating to write a series of books, novellas, short stories, ebooks, and more, based on a ficitious small town in Mid-America. Bloomfield has an active garden club, numerous quirky characters, and a lot of romance--must be due to the gorgeous roses blooming everywhere! 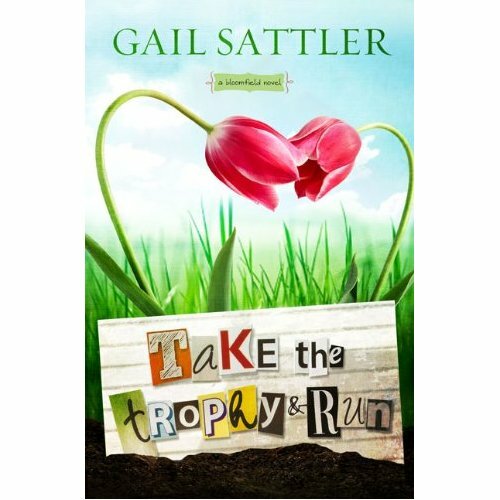 The first book is written by Gail Sattler and it releases this fall. Think you can guess which characters were our brainchildren? Check it out here. 3. I got a dog. Yes, I know. He's worthy of a blog himself. Maybe sometime we'll interview Watson on here. I'm sure he'll have plenty of juicy stories to tell...although he'll probably chase moths instead. 4. Tracy is graduating!!!!!!!!!!! 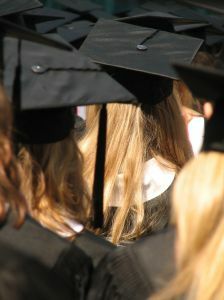 No picture for that one yet, but she's been working so hard over the last year to earn her college diploma. And soon she'll get to wear that beloved hat and gown and take a stroll down the aisle. So proud of my amazing co-author! 5. Bliss is available for $2.99! Yes, you read that right. 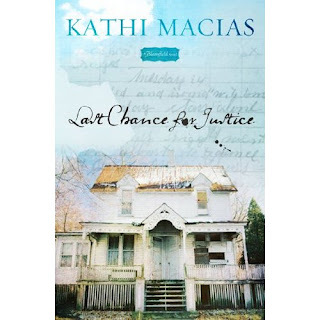 Get it on the Kindle (or the Nook, I believe) for only $2.99. And you don't have to even have a Kindle--you can download a free app for the your computer or whatever and read it there! (The print version is also still available online.) Oh, and if you've read it and liked it, would you consider posting a review online and/or recommending it to your friends? We'd love for more people to know about Indie and the rest of the gang! Writing requires a great deal of vulnerability. To achieve any level of success and have your dream realized you must put a piece of yourself into an envelope or a PDF and send it off to be judged. Anyone who is in this business knows that rejection comes with the territory. You try to mentally brace yourself for its impact, but there is a small part of you that holds out hope for some good news. In that secret place deep down inside you privately imagine that you are soon going to be informed that an agent or editor thinks you’re the greatest thing since…well, the last greatest thing. Then it comes like a sucker punch to the gut, and you realize that all of the preparation in the world could not be adequate enough to fend off the hurt that you feel. Rejection comes in several forms. Sometimes it comes with a list of things that are wrong with your story. Sometimes it comes with a list of things that you can do to improve your story. Sometimes it comes with no explanation at all, and you are left alone to scratch your head and wonder what you did wrong. What comes next tells the true tale of who you really are. It is the story behind the story. Do you dismiss the criticism and vent to all of your friends about how some stupid person had the nerve to find fault with your work? Do you ignore the advice and eat seven bowls of chocolate ice cream all the while mumbling that someone didn’t recognize genius when they saw it? Do you throw your hands up in the air in defeat while pitching your manuscript in the trash? Do you walk away and never attempt to tell a story again? Or do you work through the hurt and then take a long, hard look at your manuscript with honest eyes? Are you willing to do anything and everything within your power to become a better writer? Are you teachable? Your reaction to rejection reflects the truth about you. Having recently faced a publisher’s rejection I have been pondering this concept, and I have come to the conclusion that it is applicable to more than just the writing aspect of my life. You see, at the exact same time that I have been facing rejection as a writer I have also been facing rejection in some relationships. The reality is that a life fully lived is going to require some vulnerability on my part. I am going to put myself out there…and I am going to be judged. Inevitably, rejection will be a part of the process at times, and there is nothing that can be done to adequately prepare for pain that is soul deep. Sometimes it will come with a long list of my faults. Sometimes it will come with some advice on how I can improve. And sometimes it will come with no explanation at all. What am I going to do with this experience? Will I retreat in fear? Will I lash out in anger? Or will I work through the hurt and take a long, hard look at myself with honest eyes? Can I learn something from this process that will make me a better human being? Am I teachable? As a person, and as a writer, I wish that I could say that my first reaction to rejection has always been mature and well thought out. However, if I am going to speak honestly I have to say that I have felt hurt and angry and afraid. But I have felt the unwavering gaze of God on me in the swirl of my emotions. He is my one true thing. The One who sees all of my faults and does not walk away. The One who loves me in spite of me. Grace given so lavishly generates a response deep within my soul. It makes me want to strive for excellence in every aspect of my life. And God is faithful to show me just where I need to apply my efforts. He has already pointed me back to some places in my life where I have been responsible for inflicting the exact same hurt that I am now feeling. Ouch. I am learning some important life lessons in an up close and intimate way. My words matter. My loyalty matters. I need to extend the same grace that I so desperately need. I knew these things in a peripheral sense, but there is nothing like making it personal to drive the point straight to the core of who I am. There are things that I need to learn about myself and the character of God that can only be learned through the pain of rejection. 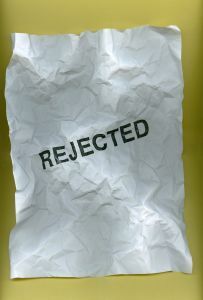 There are things that I need to learn about my writing that can only be learned through the pain of rejection. Jesus, please help me to be teachable. Indie decided to interview Tracy and I over on Ralene Burke's blog. Stop by and see how it went! And thank you, Ralene! As you probably know, it's almost summer. Which makes me think of watermelon, cookouts, reading in the sun, extra projects, and roadtrips. Oh, and Bliss, too, because it's such a good beach read. :-) We'll be talking about a contest in June for Bliss, but for now, let's talk roadtrip memories! Here are some of mine. 1. The summer after seventh grade, my parents bought an RV, and our family took a trip out West for the summer. Lots of memories from this--mostly of mishaps, like having to stop alongside the road in Kansas--repeatedly--because the wind would unravel the awning from the side of the RV. Or getting so badly sunburnt from tubing down the Wisconsin River, that when we went to the Mall of America the following day, my father was in a wheelchair. lol. But there were some great moments. Singing Zoe--yeah, you've never heard of them, have you?--at the top of our lungs, watching The Lion King a million times on the road, the buffalo wandering a few feet away from us in Yellowstone Park, and so much more. 2. Running across Bell Buckle, TN. How fun! Loved that place, with its one row of great shops, and drinking from old-fashioned Coke bottles. 3. Abbeville, SC, with it's cemetery with long epitaphs about Civil War soldiers, watching a hysterical play at the old Opera House, hanging out in the town square, and eating cheesecake in Abbey's Alley while an elderly man played the saxaphone by flickering lantern light. 4. Accidentally running across a historic site of an old Moravian village or something like that. It was practically deserted, but so picturesque and peaceful. Fine. I'll stop. Now it's your turn! What are some fun or disastrous memories you have from past roadtrips?